The Northside Hospital Department of Pathology includes seventeen board certified pathologists with a broad range of subspecialty expertise. 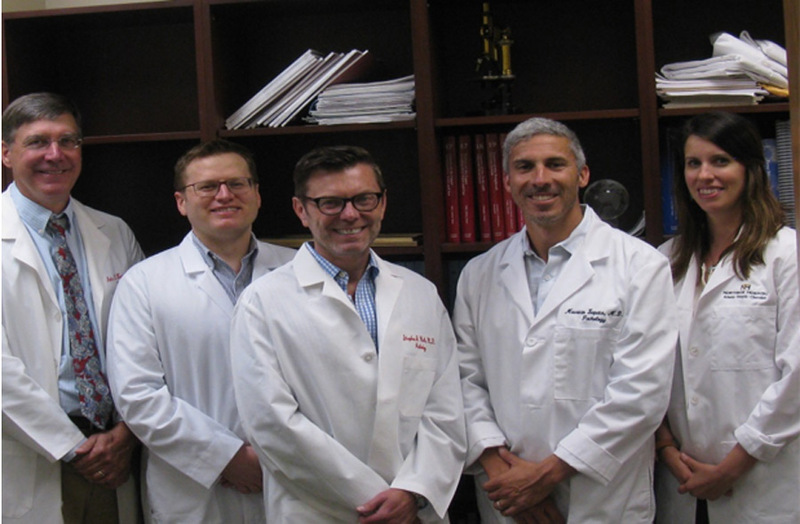 Five fellowship-trained hematopathologists are part of the Pathology group. The hematopathologists specialize in the diagnosis of hematolymphoid diseases, acute leukemia being among the most critical of these diagnoses. Rearrangements of PML-RARA, BCR-ABL1 and MLL. An additional broader panel of genes is often assessed by next generation sequencing, looking at newer prognostic and potential therapeutic targets. The hematopathologists work to expediently evaluate and integrate data in order for important clinical decisions to proceed. Review flow cytometric immunophenotyping data, integrating this information into the diagnostic algorithm. Ongoing monitoring of the blood and bone marrow of patients with acute leukemia is also an important role of the hematopathologists. All of the techniques discussed above may be essential in the followup setting. The hematopathologists recognize morphologic and immunophenotypic changes which may be induced by therapy. Understanding these findings is critical in separating therapeutic impact and marrow recovery from residual or relapsed disease.